US President Donald Trump may deliver a speech next week, recognizing Jerusalem as the capital of Israel, according to recent media reports. The information, however, has not yet been confirmed by the State Department. Here are top 5 things you need to know about the status of Jerusalem as one of the thorniest issues in the Israeli-Palestine conflict. Jerusalem is sacred for the followers of three major religions, Judaism, Christianity and Islam. 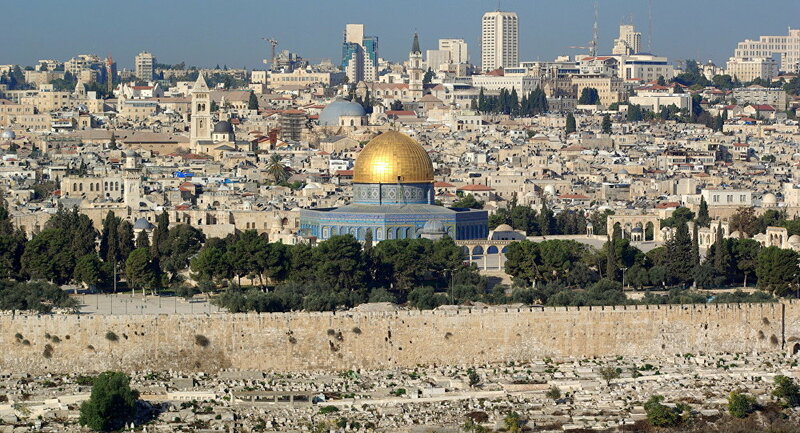 The walled Old City of Jerusalem has a high concentration of holy sites and monuments. The Church of the Holy Sepulcher and the Garden Tomb attract Christians from around the world. For Jews, who comprise the majority of the population, Jerusalem is the holiest city in the world as the capital of the ancient Israelite Kingdom and the former location of the Jewish temples. For Muslims, the city is one of the holiest sites, after Mecca and Medina. The heart of the dispute concerns the legal status of East Jerusalem. Israel proclaimed its ownership over East Jerusalem after the Six-Day War in 1967, a move that has not been recognized by the majority of UN states and international organizations. As the political status of Jerusalem has not been recognized internationally, there are no foreign embassies in Jerusalem. In November 1947, the UN General Assembly adopted the UN Partition Plan for Palestine calling for the partition of Palestine into Arab and Jewish states, with Jerusalem being established as a "separated body" with a special political status. Although the two-state solution is supported internationally the plan has not been implemented. In 2015, Israeli Prime Minister Benjamin Netanyahu said, "Jerusalem won’t be divided again. It won’t go back to being a frontier or a border town." In 1980, the Israeli Parliament passed the Jerusalem Law declaring Jerusalem the unified capital of Israel. The action has not been recognized by any other country, including the United States. The majority of Israeli governments have insisted that the political status of Jerusalem cannot be the subject of negotiations.